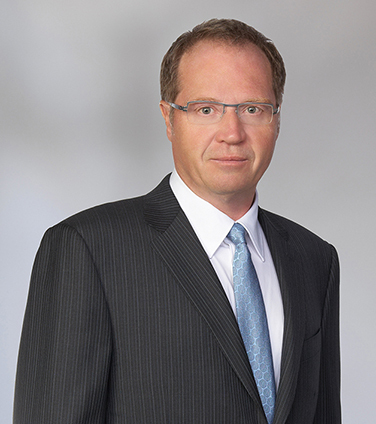 Lorne is a partner in the ﬁrm’s Corporate Practice Group based in the Calgary oﬃce. Lorne is also a PEng (Non-practicing). His practice focuses on project development and ﬁnance in the oil and gas, pipeline, petro-chemical, electrical power, renewables, and infrastructure sectors. In particular, Lorne has experience with loans in both the bank and capital markets and has been involved in a number of the larger project development and project ﬁnance transactions in Canada. Lorne has also had signiﬁcant experience with international project development and project ﬁnance transactions and also practises in the lending and structured ﬁnance areas. Many of the projects Lorne has worked on include multi-parties and Lorne is familiar with multi-party ownership, joint ventures, combined ﬁnancings and governance and intercreditor issues. Kineticor Resource Corp. in the acquisition of a partially constructed 690 MW cogeneration plant located near Peace River, AB from Shell Canada, and a $125 convertible million debt and equity financing commitment from OPTrust. Veresen Inc. in the formation of a new entity, Veresen Midstream Limited Partnership, equally owned by Veresen and Kohlberg Kravis Roberts & Co. LP, which will acquire certain natural gas assets from Encana Corporation and the Cutbank Ridge Partnership. Osler also represented the partnership in respect of related financing arrangements. BluEarth Renewables Inc. in connection with the project financing of a 15MW run-of-river hydro project located near Squamish, British Columbia, being developed by Culliton Creek Power Limited Partnership, a subsidiary of BluEarth Renewables Inc.
Canadian Natural Resources in connection with the bridge financing and permanent bank/bond financing as the 50% owner and 25% processor of the North West Redwater refinery project. Kinder Morgan Canada in connection with commercial and financing matters for the proposed Trans Mountain Pipeline System. Pattern and Samsung Renewable Energy, as joint venture partners, in connection with the project financing of the South Kent wind project; and the Grand Renewable wind project. Phoenix Energy Holdings Limited, a Canadian subsidiary of PetroChina, in its partnership with TransCanada Corporation and its affiliates to construct, own and operate the Grand Rapids Pipeline System and its commitment to ship on the system. Greengate Power in connection with the proposed financing and sale of the Halkirk Wind Project to Capital Power and the development and proposed financing of the Blackspring Ridge Wind Project and sale to Enbridge/EDF EN Canada. Veresen and Harbert Power in connection with the financing of the York Energy Centre. Pristine Power and Fort Chicago in connection with the financing of the East Windsor Cogeneration Centre. State of Alaska in connection with negotiations with major oil companies for the development, ownership, governance and financing of the proposed Alaska Natural Gas Pipeline. Union Bank of California in the financing for Kelson Canada of the Calgary Energy Centre and the Island and Whitby Cogeneration Projects. Trident Resources in connection with its high yield debt offering and bank financings. RREEF America LLC in their acquisition of Maher Terminals (Prince Rupert Container Terminal Facility) including in respect of the acquisition, financing, corporate structure and governance. Maritimes and Northeast Pipeline on the financing of its natural gas pipeline from Nova Scotia to Boston. Chambers Global: The World's Leading Business Lawyers, 2011: Banking and Finance. The Canadian Legal Lexpert Directory, 2014-2018: Repeatedly Recommended, Project Finance. The Canadian Legal Lexpert Directory, 2018: Repeatedly Recommended, Banking & Financial Institutions. The Canadian Legal Lexpert Directory, 2018: Repeatedly Recommended, Energy (Oil & Gas). The Canadian Legal Lexpert Directory, 2017: Repeatedly Recommended, Infrastructure Law. Lexpert/Report on Business Special Edition - Canada’s Leading Infrastructure Lawyers, 2014: recognized as a leading lawyer in Canada. The Legal 500, 2019: Recommended Lawyer, Infrastructure & Projects. The Best Lawyers in Canada, 2013-2019: Banking and Finance Law. The Best Lawyers in Canada, 2006-2019: Equipment Finance Law. The Best Lawyers in Canada, 2018: “Lawyer of the Year” in the area of Equipment Finance Law. The Best Lawyers in Canada, 2005-2019: Oil & Gas Law. The Best Lawyers in Canada, 2006-2019: Project Finance Law. Who's Who Legal: Canada - Project Finance 2018. Expert Guides: The Legal Media Group Guides to the World’s Leading Lawyers, 2018: Project Finance. (Co-Author), Managing Your Carbon Footprint: Impacts and Opportunities Arising from Alberta's Climate Change Legislation, Alberta Law Review.